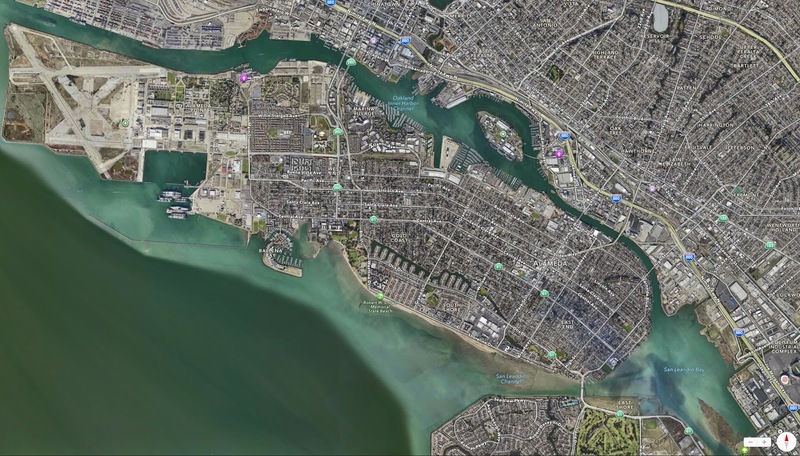 Before we leave Alameda Island I wanted to mention the last two crossings from the mainland. 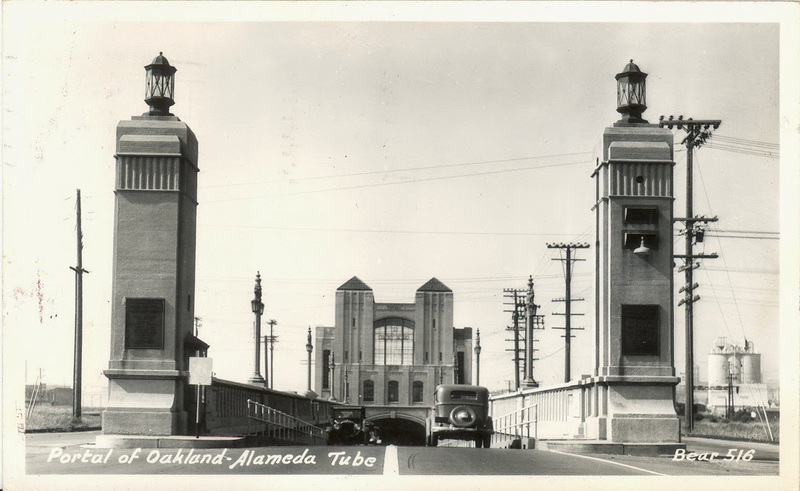 However, these structures are tubes that go under the Oakland Estuary. 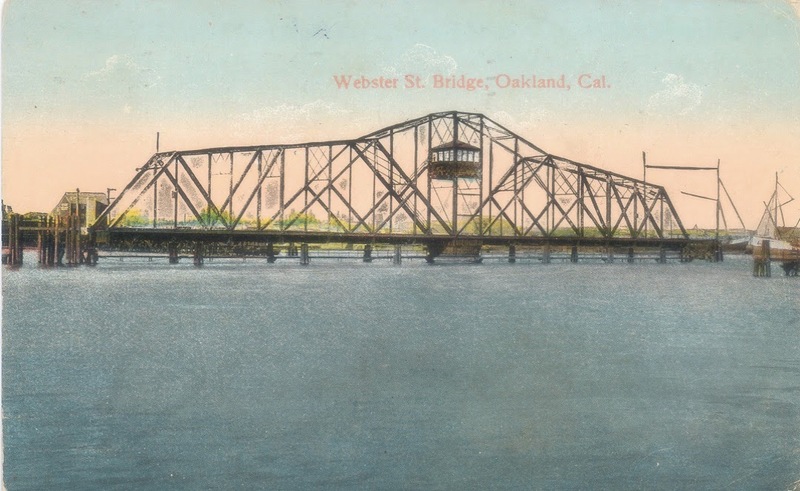 From 1871 until 1928 the Webster Street Crossing (a swing bridge) connected Oakland to Alameda Island at this site. In 1923 the Alaska Packers Association promised to build wharves and warehouses on Alameda Island if a tube was built. $4.5 million was allocated and the Posey Tube (after County Surveyor George Posey) was constructed from 1925 to 1928. Precast concrete tubes were built in San Francisco, floated to the estuary, sunk into a trench, sealed together, and then covered in Bay Mud. In 1963, a second tube (the Webster Street Tube) was built. The tubes performed pretty well until the 1989 Loma Prieta Earthquake shook the estuary. The tubes were sitting in unconsolidated mud and tried to rise to the surface, allowing water to leak into the joints. 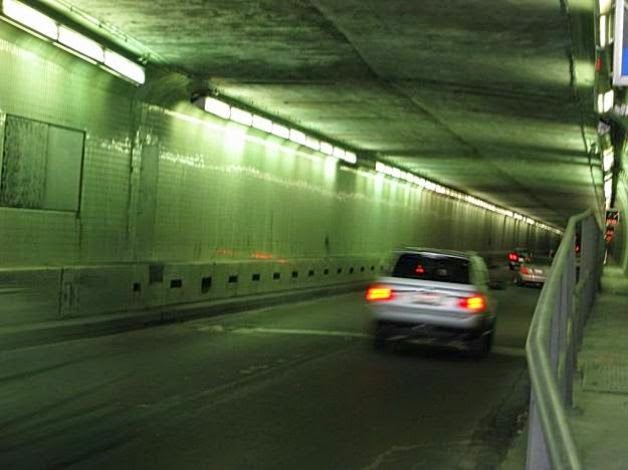 A long, costly retrofit was performed in the 1990s, which should protect the public but it may not prevent the tubes from being damaged and closed after the earthquake. Alameda County, California Bridges: Posey and Webster Street Tubes across the Oakland Estuary by Mark Yashinsky is licensed under a Creative Commons Attribution-NonCommercial-NoDerivatives 4.0 International License.